It is one island out of a group of islands in what is known as America’s very own Caribbean paradise. St. Thomas, in the US Virgin Islands, despite having a very mountainous landscape, is internationally well-known as a water lover’s paradise. Everywhere is scenery of emerald hills and turquoise beaches, glistening sun and white sand; it’s a setting that just literally takes your breath away. It is home to Charlotte Amalie, the capital of the US Virgin Islands and also the busiest cruise ship harbor in the West Indies. It is also called home by around 51,000 of the most culturally diverse, ethnically rich and most friendly group of people within the tropics. A vacation in St. Thomas is defined by its land and beaches. You can spend a few days in the beaches just snorkeling, scuba diving, windsurfing, sailing and fishing. You can also rent a charter and hop around nearby islands or go on a submarine dive and explore the Caribbean water world. There’s a lot more to do when you’re on land. You can do simple things such as play golf or watch butterflies in Butterfly Farm. You can take an island tour and explore the rich island history where you can see genuine 18th century buildings and pirate booty. You can go downtown and shop until you drop at designer shops or island warehouses. At night, you can dine and wine and listen to live music at waterfront pubs, at the modern Frenchtown or the classy big hotels. 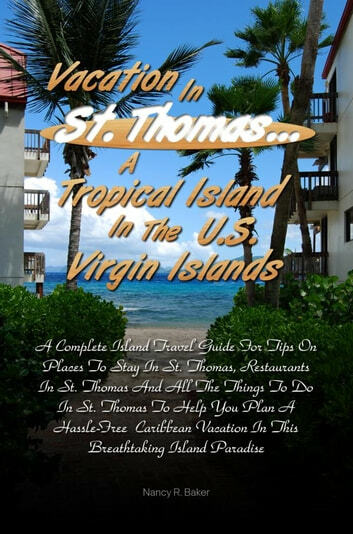 St. Thomas in the US Virgin Islands… the name is synonymous to warm weather and a place of perfect happiness!